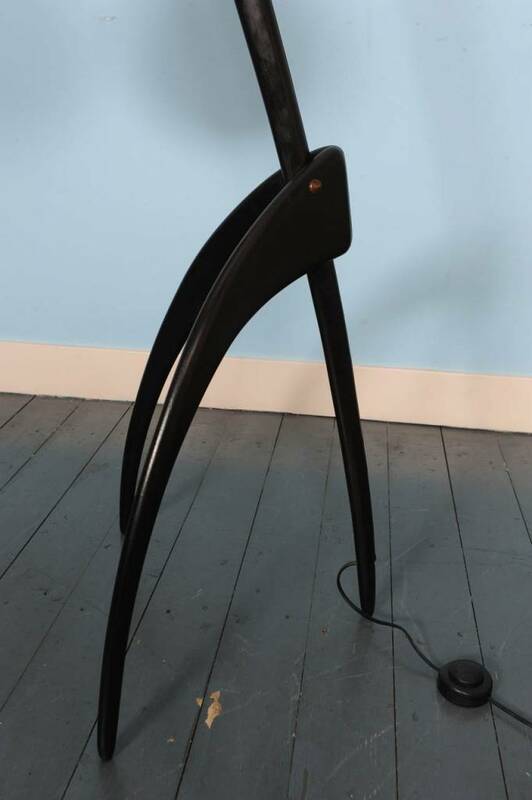 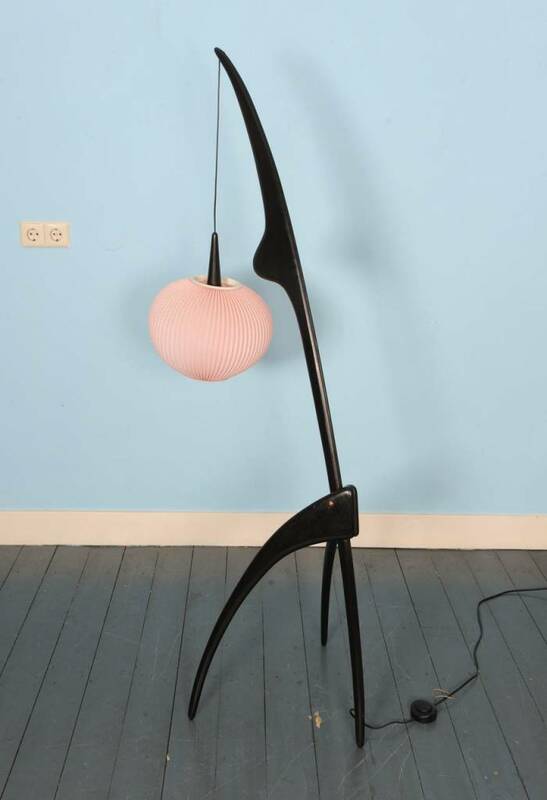 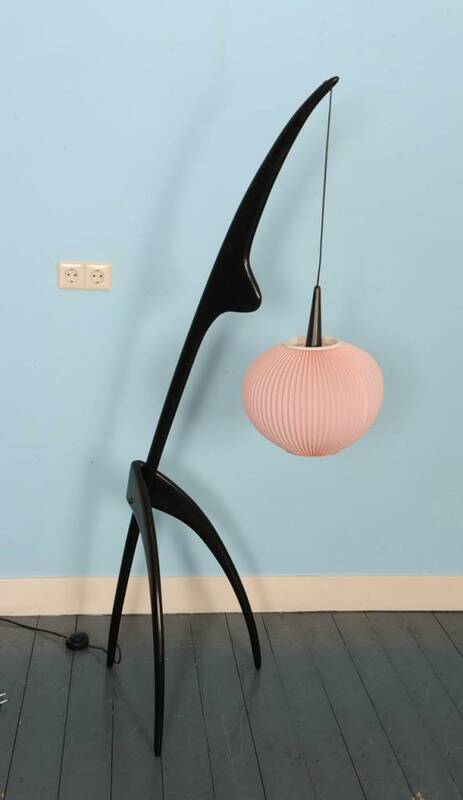 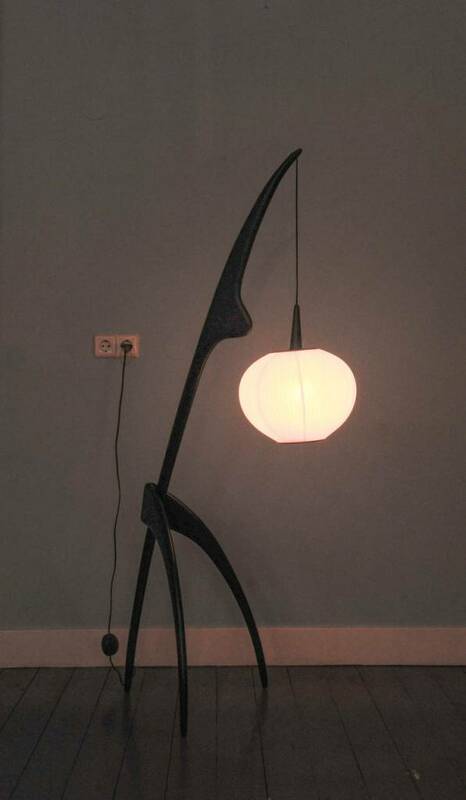 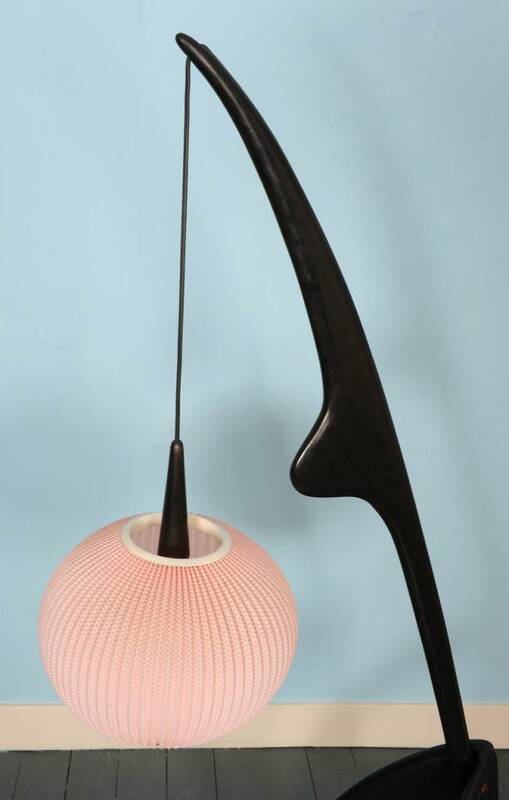 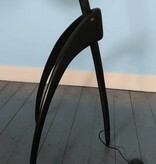 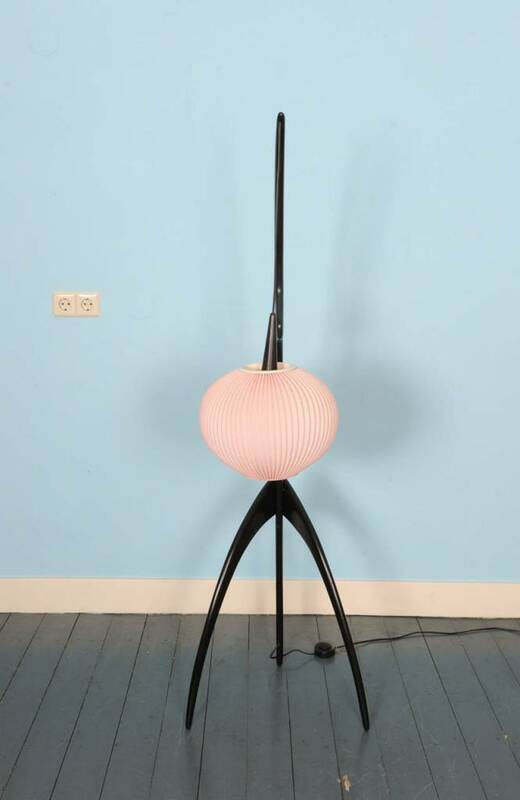 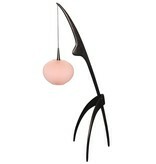 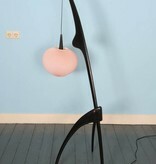 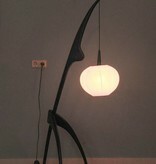 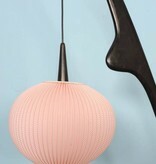 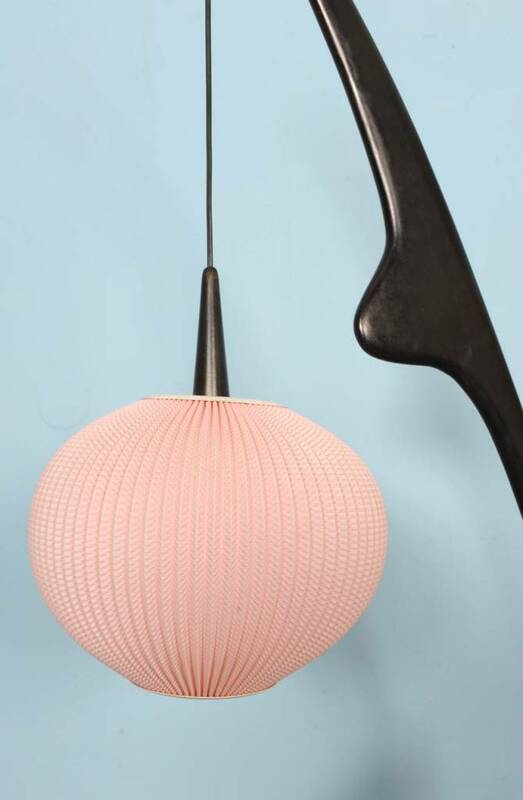 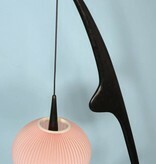 Rare "ebonized" version of the famous "Mante Religieuse" floor lamp with original shade with soft pink color. 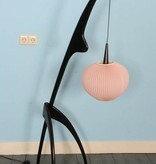 The lamp is inspired by an insect, namely the 'praying mantis', hence the name. 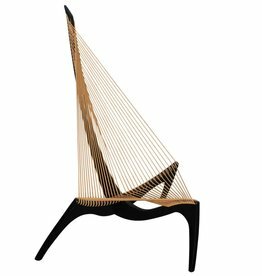 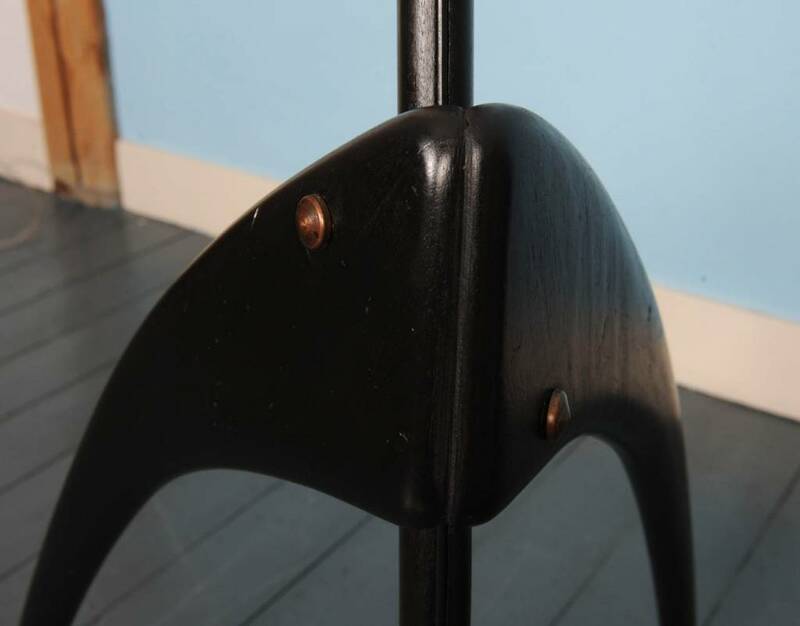 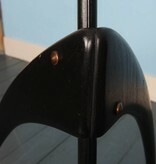 Blends perfectly with the "ebonized" Harp Chair by Jorgen Hovelskov. 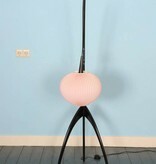 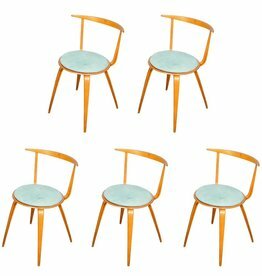 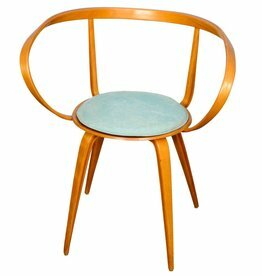 Rispal- is a producer from France and this is an original design from the 50s.